So while I was out roaming around in downtown Lexington KY this past weekend, I ran across a yard sale in the Ashland Park and Chevy Chase area. This yard sale was one put on by Lucy of A La Lucie fame. Plenty of wild and crazy stuff to uncover and buy. I sadly happened to be there without cash or checks so all I could do was take pictures. What good is a Visa card at a time like this?? This happy fellow made off with a vintage Beetlejuice doll. He seemed to be very excited to have found it. Very odd! 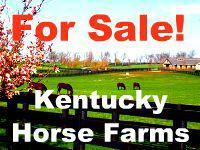 For more information on Kentucky Horse Farms, Richmond and Lexington KY real estate click on Lizette.us.